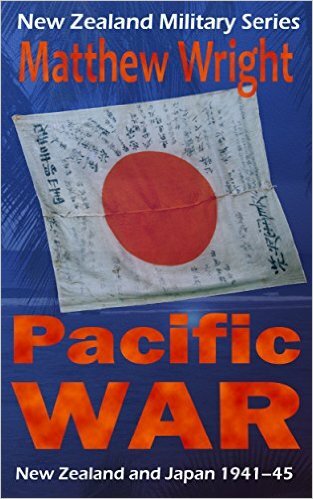 As we enter April 1944, no information on New Guinea can be more researched than this. Let’s thank the IHRA !! Damaged enemy planes on the ground. 16 March – as the Japanese 12th Destroyer Group returned home. HIJMS Shirakumo and the cargo ship, Nichiren Maru, were sunk by the US submarine Tautog off the coast of Hokkaido, Japan. 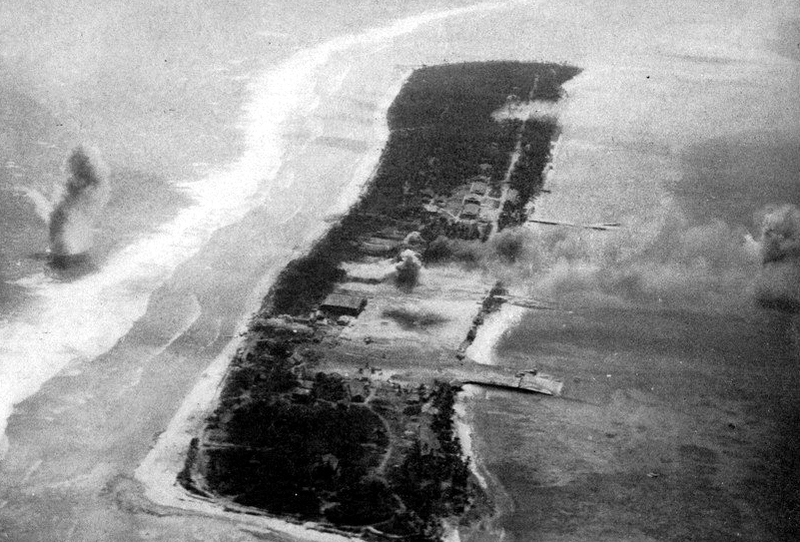 18-19 March – a US task force group bombarded Mili Island in the Marshalls from air and sea. The battleship, USS Missouri was hit by a shell from a coastal gun and was the only ship damaged. A two-day bombardment at Wewak on enemy positions on the northern coast of New Guinea were carried out by US destroyers. 20 March – the invasion of Emirau Island by the USMC 4th Division went without a hitch. There were no Japanese on the island, and so the marines were able to make an unopposed landing and complete a circle of enemy-held Rabaul. Work began on turning the island into a powerful base. The first airfield was ready by May, and was followed by a bomber base. 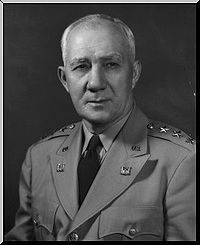 30-31 March – Under command of Adm. R. A. Spruance, Commander 5th Fleet, including carriers, fast battleships, cruisers, and destroyers, attacked the Western Carolines. 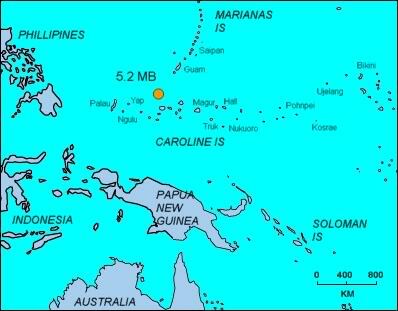 Carrier-based planes struck at the Palau group with shipping as primary target. They sank 3 destroyers, 17 freighters, 5 oilers and 3 small vessels, and damaged 17 additional ships. The planes also bombed the airfields, but they did not entirely stop Japanese air activity. At the same time, our aircraft mined the waters around Palau in order to immobilize enemy shipping in the area. Part of the force struck Yap and Ulithi on 31 March. Although the carrier aircraft encountered active air opposition over the Palau area on both days, they quickly overcame it. Enemy planes approached the task force on the evening of 29 March and 30 March, but were destroyed or driven off by the combat air patrols. During the 3-day operation US plane losses were 25 in combat, while the enemy had 114 planes destroyed in combat and 46 on the ground. These attacks were successful in obtaining the desired effect, and the operation in New Guinea went forward without opposition from the Western Carolines. 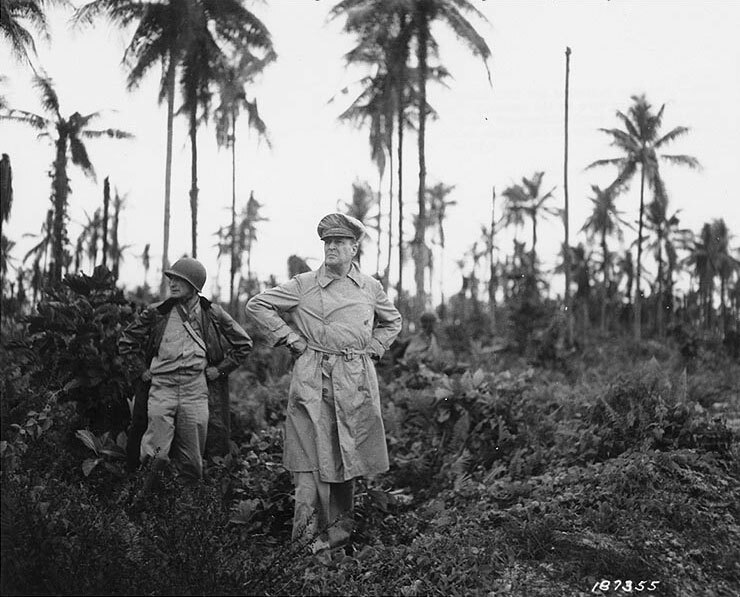 31 March – Japanese Adm. Koga and Adm. Fukudome headed to Mindanao, P.I. in 2 separate seaplanes. 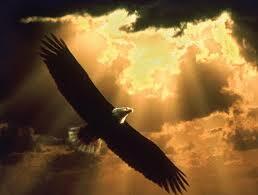 After encountering a storm, Koga’s aircraft disappeared and was never seen again. Fukudome, with the plans for Operation Z in a briefcase, went down off the waters of Cebu. He and most of the flying boat’s crew were rescued by guerrillas. [2 escaped and made it back to Japanese HQ]. The head of the local guerrillas, Lt.Col. James Cushing, radioes MacArthur via Col. Wendell Fertig. Fukudome had convinced his captors that he was Koga and MacArthur ordered Cushing, “the enemy prisoners must be held at all costs.” But Cushing exchanged Fukudome for a ‘truce’ between the local guerrillas and enemy Col. Onishi’s troops. The briefcase, with TOP SECRET stamped on its contents, made its way back the Gen. Mac by way of a submarine. Fukudome was returned to Japan in disgrace. Adm. Soemu Toyoda replaced Koga as Commander-in-Chief of the Combined Fleet, with Adm. Ryunosuki Kusaka as his Chief-of-Staff. 1-2 March – 4 B-17 armed transports from the 54th Troop Carrier Wing/375th Squadron made supply runs to the US Army 1st Cavalry Div. on Los Negros. They dropped weapons, ammo, barbed wire and blood plasma, then proceeded to strafe the enemy positions. The next day, the same was done by 3 more B-17’s. The B-17 “Cap’n & the Kids” piloted by Capt. A.J. Beck was intercepted by 4 enemy fighters, including a Ki-61 Tony. 4 March – the remaining Japanese forces launched a series of suicidal charges, but they did not succeed. Lombrum, at Seiddler Harbor was made into a large naval base for future operations. Mamote airfield on the eastern side of Los Negros started repairs and expansion . It was in use by 16 March for the 13th Air Force, the US Navy and the RAAF. A causeway was built to link the 2 islands of Manus and Los Negros. 11 March – of the 302nd Cavalry Recon Troop, 3 patrols were sent out to find locales hat could aid in the struggles for Kwajalein Atoll. Fighting immediately broke out on Hau wei. A PT boat and HMAS Arunta were sent to rescue the men, but 8 were KIA and 15 were wounded. 12 March – The attack on Manus began with the destroyers Gillespie, Hobby, Kalk and Reid using 5″ guns, 2 rocket *LCVPs, an **LCM for flak and the combat ***LVT raking the shoreline with rockets. Artillery from Hauwei and Buto Luo were aimed at the positions and 18 B-25’s of the 499th & 500th Bombardment squadrons bombed and strafed the island. 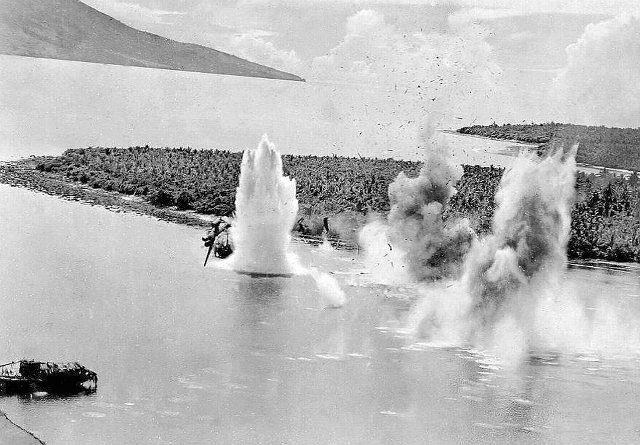 Twenty-two B-25s hit the Rabaul area, concentrating on Simpson Harbor. The 1/8th Cavalry landed and quickly overran the Japanese until they approached an enemy bunker complex at Lorengau airstrip. An air strike by 5th Air Force B-25s and artillery fire were called in and the troops established a beachhead. The 2/8th Calvary meanwhile arrived to aid in attacking the airfield. After 2 attempts, progress was made, but the main enemy force on Manus had not been located. 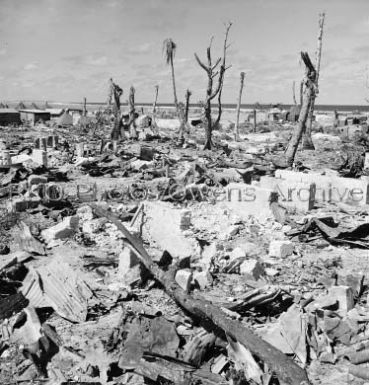 The Wewak area and Boram Airfield were bombed. 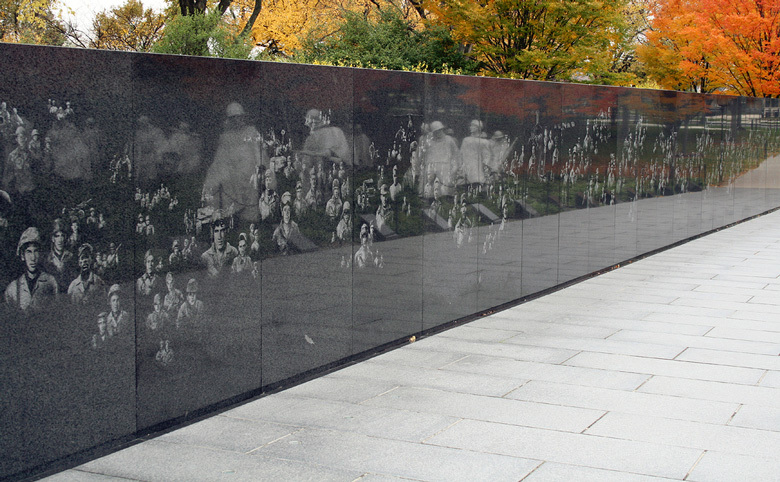 On the 20th of March, the 7th Cavalry found them and 6 more days of fighting ensued. This left a number of smaller islands to clear. 22 March – 130 or more fighters and bombers of the 5th Air Force attacked the Wewak area on New Guinea. They hit the AA gun positions and storage areas, as well as the offshore shipping at Kairiru Island. Japanese HQ and troops were hit by 25 other aircraft in the Aitape-Tadji zone; P-47s hit the barges at Alexishafen, while P-39s hit a HQ and supply dump along the Bogadjim Road. 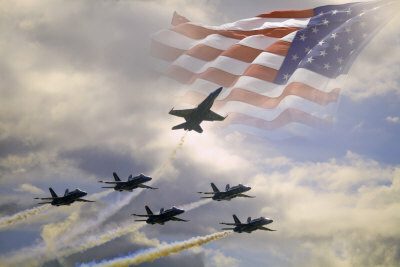 31 March – aircraft from VAdm. Mitscher’s TF-58 damaged 16 Japanese vessels at Palau. They sank assorted other ships, including 2 destroyers.30 March – the island of Pityilu was heavily bombarded before the 1/7th Cavalry sailed there. Their initial landing was unopposed , but they encountered a strong Japanese defense position as they pushed inland. 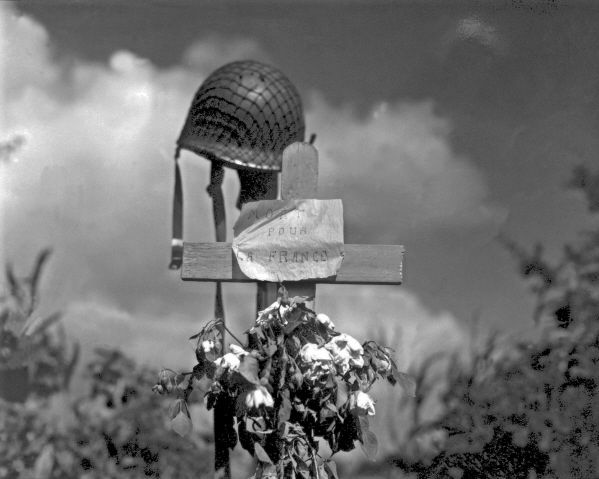 With the support of artillery and tanks, 59 Japanese were KIA and the US lost 8 KIA, with 6 wounded. Francis Majors – Grand Forks, ND; US Army Air Corps, WWII, PTO, 457th Artillery/11th Airborne Div. 5 March – in the CBI, the Chinese 22nd and 38th divisions captured Maingkwan in the Hukawng Valley in Burma. On their left flank, the US troops of Merrill’s Marauders crossed the Tanai River and took Walaboum. Despite a serious lack of food and enduring combat, including suicidal bayonet charges of the Japanese 18th Division, under Gen. Tanaka, the Allied casualties were light. Chindit forces in north Burma launched Operation Thursday. 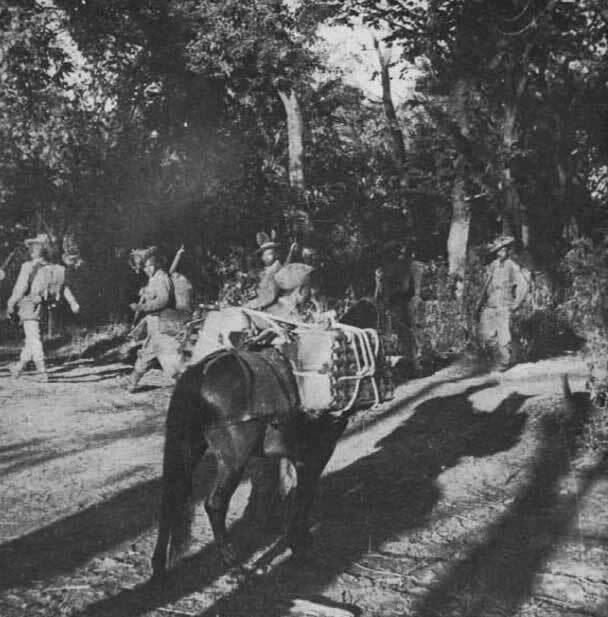 The 77th and 111th LRP (Long Range Patrol) Brigades, (~ 9000 men), along with their 1,300 mules were deployed by glider and transports by the recently formed American Air Commando, under Col. Phillip Cochrane. Their mission was to establish landing strips for air supply and to cut the flow of enemy supplies and communication in the Mitkyina area. More of the brigades would be flown in over the next 3 months. Gen. Renya Matguchi’s plan of U-Go began in Central Burma with the 33rd, 15th and 31st divisions, with 7,000 of Bose’s Indian National Army in support. Their goal was to halt any Allied offensive in that sector, enter India and cut off the Tiddim-Imphal Road; a major supply route. On the 12th of March, the enemy reached Witok on the approach to Shenan Saddle. The 17th Indian Div., under Lt.Gen. A.P. Scoones, became trapped by the Japanese 33rd Div. and the 28th Indian Div. was encircled by Matguchi’s 15th Div. Mountbatten called in the American Hump and the RAF for assistance. Other units of the 15th attacked “Broadway”, an Allied airfield in the Chindit area the following day. As those Allied units fell back from the Japanese offensive, the troops in the Arakan made progress. They recaptured Buthidawng and the enemy fortress at Razabil. 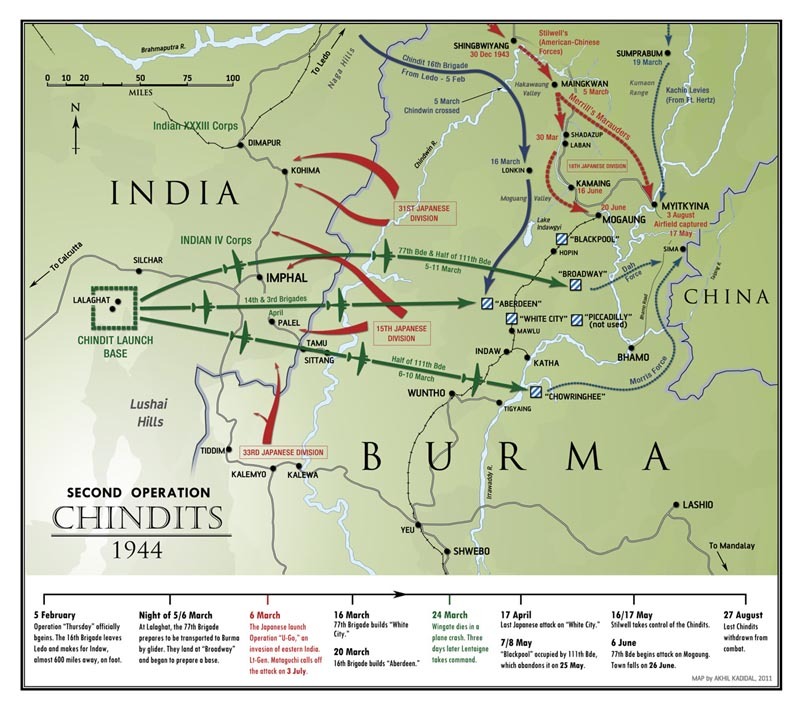 15-16 March – the second phase of U-Go started with the Japanese troops, east of Imphal, heading west to meet up with the other units coming up from the south. 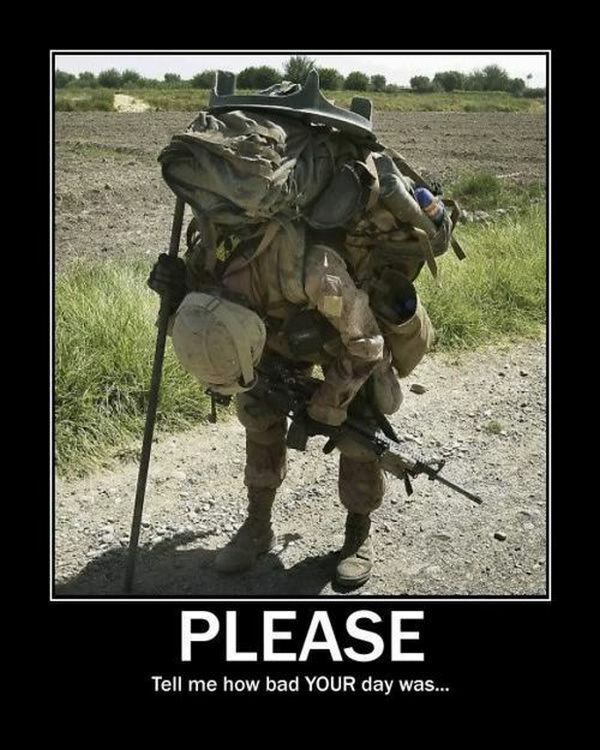 Meanwhile, the enemy 33rd Div. began a 3-prong assault toward Kohima. 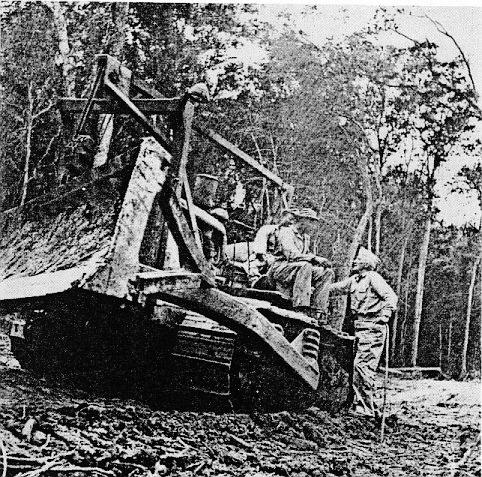 Chindit troops cut the Japanese supply railways on the 16th. 23-30 March – the 14th LRP Brigade landed at “Aberdeen” landing zone in support of the Chindits near Manhton. On the 25th, MGen. Orde Wingate, leader of the Chindits and pioneers of Tactical innovations, was killed in an air crash over Burma. MGen. W. Letaigne would succeed him. By the 30th, the Chidit operations began to falter. The 16th Brigade retreated from the Japanese 53 rd. defense at Indaw. We are not trying to imply that Pick has gone forth like Lancelot in gilded armor, driving the lead bulldozer and challenging his boys to keep up. He probably couldn’t drive a bulldozer if he had to. What we are trying to say is that Pick is the guy who puts ants in everyone’s pants and delivered an engineering project that must equal in immensity and difficulty any that has ever been attempted by the United States Army. Pick doesn’t live in an ivory tower and neither do the boys whose muscles are actually building what is intended to be a new line of communication into China. These junior officers and men live along the road, on top of saw-tooth ridges, and are quite comfortable now. This, gentle readers, is the “dry” season. It only rains about four days out of five and the guys building the road only get wet on the outside. Later, when the monsoon opens, they’ll get wet from sweat and wet from rain and their clothes will never dry out, their shoes will mold, leeches will construct dugouts in their navels, mosquitoes will be as big as B-25’s, the mud will be the same only more so, but they’ll continue to build the road. US Corps of Engineers in the CBI. They’ll gripe, curse, say it can’t be done, get their T/5 slips and build the five miles. They’ll never admit it was possible to build it. They’ll alibi that it was done because of some fortuitous circumstance beyond their control and say it can’t be done again. The truth is that it will be done again., and again, regardless of circumstances, and one day American trucks with Chinese and American drivers will be rumbling back up the Burma Road to China. When this road was started, the cynics went to work in earnest. It couldn’t be done, they said, and it did undoubtedly falter for a while. Then came reinforcements and Pick. The Americans, Chinese, Indians and assorted tribesmen have already pushed the road ahead at a faster pace than these same cynics ever believed possible. The road has been partially graveled, trucks move ahead, never stopping to permit construction to proceed unhampered. The first convoy down the Ledo Road, led by Gen. Pick. This road is not the Roosevelt Highway and 15-miles-per-hour speed limit signs make you shake your head and wonder how you can ever go that fast without telescoping your spine. It isn’t worth much for Sunday driving in your convertible coupe. This road is a yellow scar torn through the lush, green jungle and a monument to officers and men who have imagination, who will take a chance, who are tough and who won’t be licked by the elements. 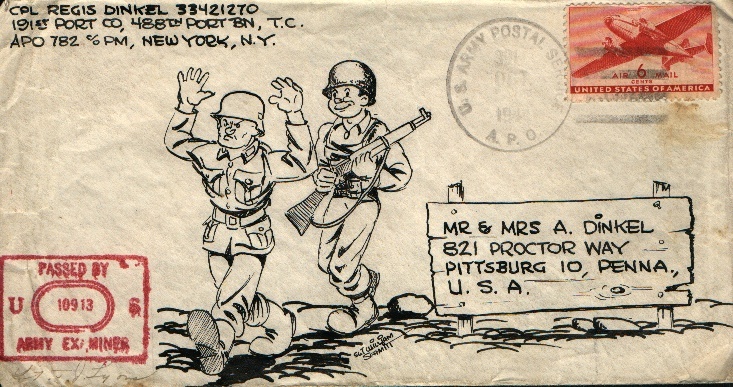 Alfred Kleeman – Brn: Stuttgart, GER; NY; US Army, WWII, CBI, 653rd Topographic Engineer Battalion, SSgt. Conrad Thompson – Youngstown, OH; US Army Air Corps, WWII, CBI, Recon Photography, SSgt. 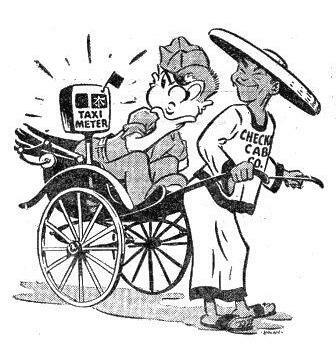 Los Negros – 29 February 1944 – Eye Witness Account ! The weather on 29 February 1944 was overcast with a low cloud ceiling that prevented most of the planned air strike. Only three B-24’s and nine B-25’s found the target. The naval bombardment was therefore extended for another 15 minutes. Each APD lowered four LCPR’s (Landing Craft, Personnel, Ramped). Each LCPR carried its maximum load of 37 men, who boarded by climbing over the APDs’ sides and down cargo nets. The unarmored LCPRs were still used because davits had not been strengthened to carry the heavier, armored LCVP (Landing Craft, Vehicle, Personnel). Admiralty Islands, 29 February 1944. General Douglas MacArthur decorates the first man ashore, 2nd Lieutenant Marvin J. Henshaw, with the Distinguished Service Cross. The first wave landed without casualties at 08:17, but once the bombardment lifted the Japanese emerged from their dugouts and machine guns and shore batteries began firing. The landing craft, on returning, came under crossfire from enemy machine guns on both sides of the harbor. The fire became so heavy the second wave was forced to reverse course until the enemy fire was suppressed by destroyers. The third and fourth waves also came under fire. As we neared the channel, the Navy men in the bow hollered to us to keep our heads down or we’d get them blown off. We crouched lower, swearing, and waited. It came with a crack; machine-gun fire over our heads. Our light landing craft shuddered as the Navy gunners hammered back and answered with the .30 calibers mounted on both sides of the barge. As we made the turn for the beach, something solid plugged into us. “They got one of our guns or something,” one GI said. There was a splinter the size of a half dollar on the pack of the man in front of me. Up front a hole gaped in the middle of the landing ramp and there were no men where there had been four. Our barge headed back toward the destroyer that had carried us to the Admiralties. White splashes of water were plunging through the six-inch gap in the wooden gate. William Siebieda, of Wheeling, W. VA. ducked from his position at the starboard gun and slammed his hip against the hole to plug it. He was firing a tommy gun at the shore as fast as wounded soldiers could pass him loaded clips. The water sloshed around him, running down his legs and washing the blood of the wounded into a pink frappe. Four of the twelve LCPRs had been damaged. Three were soon repaired, but they could not be risked further, for without them, the reconnaissance force could not be evacuated. Over the next four hours, the boats continued to make trips to the beach, but only when it was believed destroyers had suppressed enemy fire. Heavy rain made it safer by reducing visibility. The last destroyer was unloaded at 12:50. By this time, the navy had lost two men dead and three wounded. 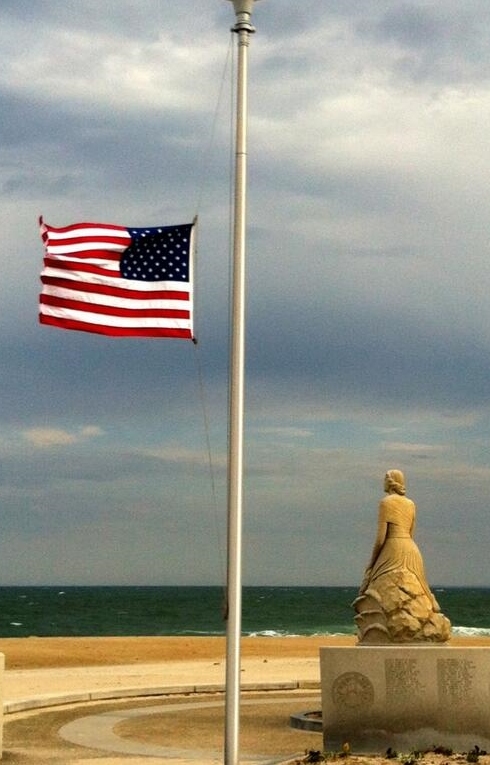 For the moment it was safer ashore. The cavalrymen overran the airstrip. Sporadic opposition allowed them to set up the antiaircraft machine guns on the beach, unload supplies, and patrol inland. Two soldiers were killed and three wounded. At 16:00, General MacArthur and Admiral Kinkaid came ashore. The general inspected the position. A lieutenant warned him a Japanese sniper had been killed in the vicinity just a few minutes before. “That’s the best thing to do with them,” the General replied. 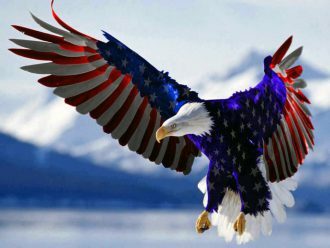 He decided to stay, ordering Chase to hold his position until the follow-up force arrived, then returned to the Phoenix. Fechteler’s force departed at 17:29, the transports having unloaded and most of the bombardment force having exhausted its ammunition. Bush and Stockton remained to provide on-call naval fire support. Mildred Page – Huntington, WV; US Army WACS, WWII, TSgt. Irving Sands – Bronx, NY; US Army, WWII, ETO, CPL. 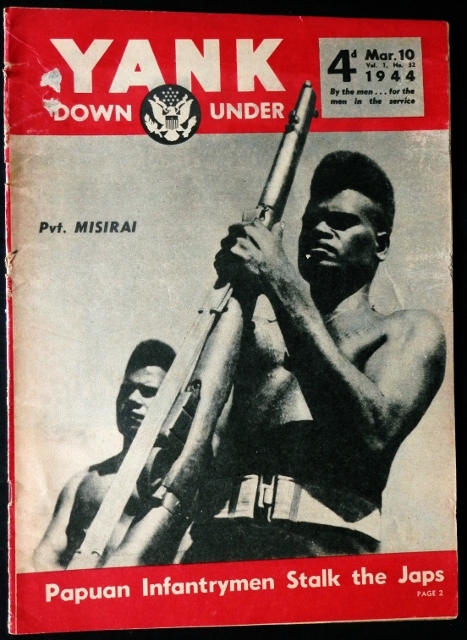 Tags: 1940's, History, Los Negros, Military, Military History, Pacific, WW2, WWII, Yank mag. 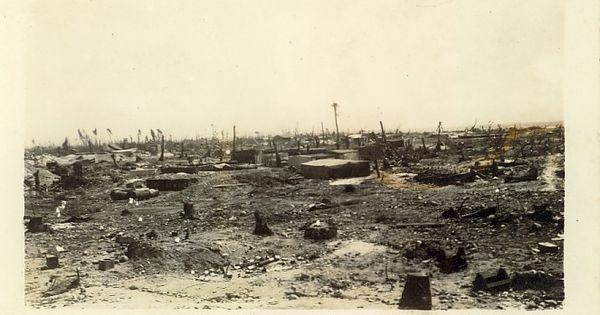 The Japanese overtake Clark Field in the Philippines. 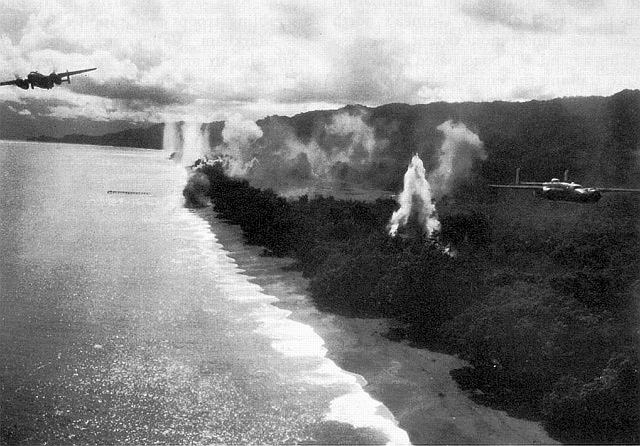 23 February – for Operation Forager in the Marianas, the islands of Saipan, Tinian, Rota and Guam were bombarded by the aircraft of RAdm. 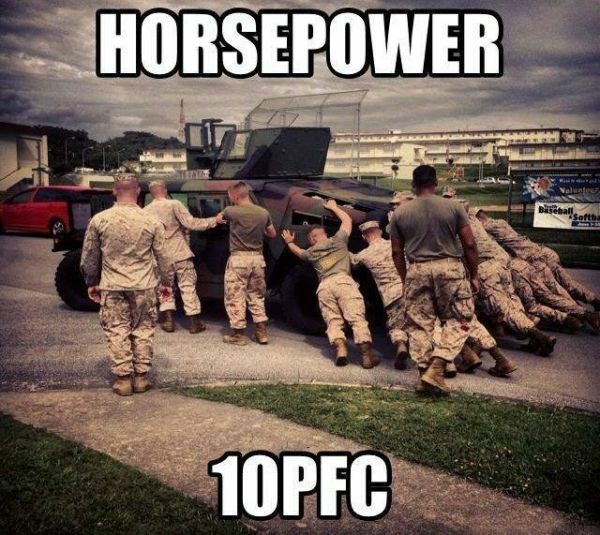 Mitschell’s Fast Carrier Task Force. 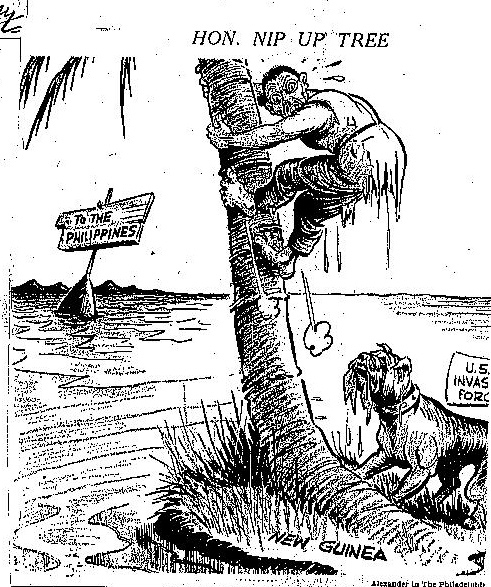 Saipan would be a vital necessity for the bombers who were to hit the Japanese mainland. 24-29 February – after eaves-dropping on Japanese radio traffic operating between their garrisons, it was confirmed that Los Negros Island, in the Admiralty island chain, was weakly defended. Preparations for the landing were rushed to move in 4 days ahead of schedule; what MacArthur described as a “reconnaissance in force.” The crew of the USS Phoenix were rounded up in Brisbane and given 2 hours to report. The second wave in received so much crossfire from the dugout’s rifles, machine-guns and shore batteries that they were forced to change course until destroyer fire suppressed the enemy. The third and fourth waves also came under fire as the amphibious landing proceeded. 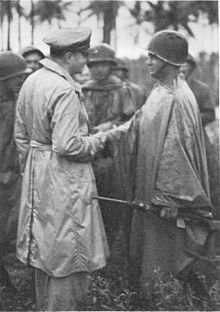 MacArthur went ashore with the men and while disregarding his own safety, walked among the troops congratulating the. The fighting here would continue through March. There was no sudden, sharp hail of bullets. By squads and by little groups, they heard the warning zing-zing-zing overhead or saw something rip through the foliage above them… Company C, when the men went to the earth, they could not see one another. No man knew where the next man lay on his right or left. Along the lagoon, a half-squad advancing up the beach speeded ahead with no interruption and outdistanced the men on their right. The other half became echeloned toward the rear as enemy machine-gun fire, came from a blockhouse… they went to the earth just inside the tree-line. It was a fateful pause, for there the Japanese artillery found them. These things contributed to the stretching of the line. One BAR man, Pvt. James Gatlin, had carried on a one-man mop-up campaign during the 1st phase of fighting, working over every debris pile at close range with his weapon. As the day wore on past noon, the fires still blazed about the island, but a strong wind from the east was whipping the smoke to the lagoon side. They were through shooting for the day. The 2nd Platoon advanced perhaps 125 yards when along the shoulder of the beach they saw a Jap caliber .50 air-cooled gun to the left. The gun pointed in the direction of the morning landings… The tank had passed on beyond the gun… Sgt. Roger Horning crawled up to within about ten feet of the gun and fired one round from his M-1 into the magazine. The gun blew up. Some of the men covered him as he crawled up to the pit and looked in. He was face-to-face with a live Jap who blinked at him. It scared the living hell out of Horning. He recoiled back into a shell hole while throwing a grenade. It came back at him. The grenade was a dud. That was the way it went. The holes were everywhere. Each one had to be searched from up close. Every spot where a man might be hiding had to be stabbed out. [After the 3rd Platoon moved up.] Lt. Blue noticed the men had already started to hit and hole and then skip one. The man ahead of him stepped across a palm frond patch and kept moving. Blue yelled: “Godammit, what are you doing! There may be a Jap in there.” From underneath, a hand reached up reaching for a rifle. Blue shot at the hand, hit the knuckles and it blew the man backwards. Two more slugs went into him. 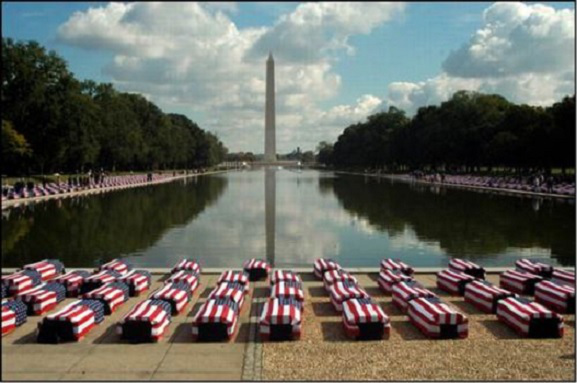 It was here that SSgt. Pete Deini noticed the men weren’t behaving right. He could feel it. He began talking and kept talking as he moved from group to group showing them how it [spider holes] had to be done. Still, the spider holes confronted the left of the line. Deini again led the way through them, working 4x harder as any other and talking the entire time. Condensed from: Island Victory, published by The Infantry Journal. John Moser – Whitefish Bay, WI; US Navy, WWII & Korea, Cmdr. The ordeals of the POWs put to slave labour by their Japanese masters on the ‘Burma Railway’ have been well documented yet never cease to shock. It is impossible not to be horrified and moved by their stoic courage in the face of inhuman brutality, appalling hardship and ever-present death. While Barry Custance Baker was enduring his 1000 days of captivity, his young wife Phyllis was attempting to correspond with him and the families of Barry’s unit. Fortunately these moving letters have been preserved and appear, edited by their daughter Hilary, in this book along with Barry’s graphic memoir written after the War. 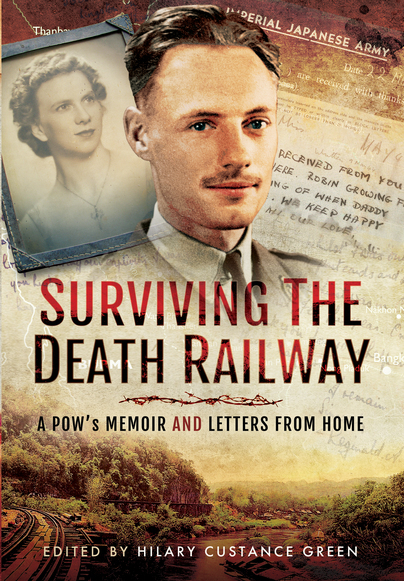 Surviving the Death Railway’s combination of first-hand account, correspondence and comment provide a unique insight into the long nightmare experienced by those in the Far East and at home. The result is a powerful and inspiring account of one of the most shameful chapters in the history of mankind which makes for compelling reading. 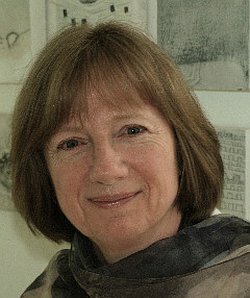 Hilary Custance Green has BAs in Fine Arts (UEA) and Sculpture (St Martin’s School of Art) and spent twenty years sculpting. In 1993 she graduated with an Open University BSc in Psychology and spent fifteen years working in brain science, gaining a PhD in Cognitive Psychology from Cambridge in 1999. She has had three novels published and has spent six years researching this book. Born in Malaya in 1915, Barry Custance Baker married Phyllis, a fellow Cambridge graduate in 1939. 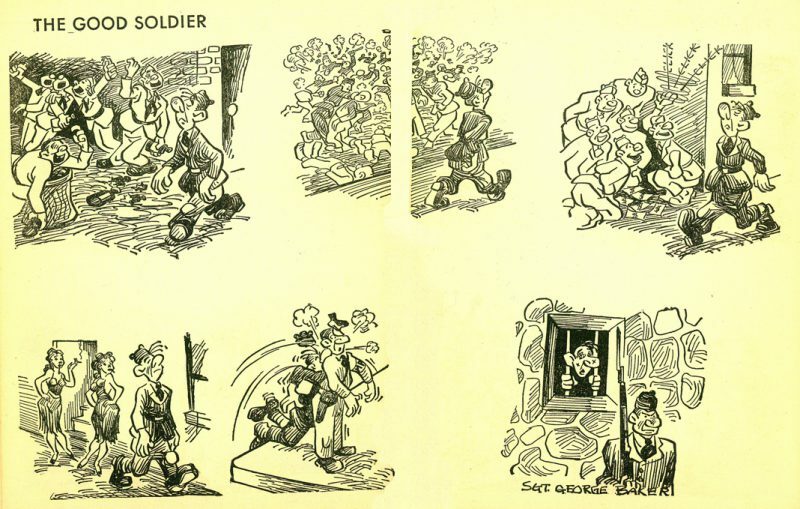 Barry joined the Royal Corps of Signals and this book records his experiences as a POW. After gaining his freedom, they had three more children post-war. Barry stayed in the army until 1959, then took up teaching. Phyllis filled her life with voluntary work and the theatre. Hilary Green’s blog can be located HERE! In December 1941, Japan attacked the British Empire and the United States, turning the European war that had raged since 1939 into a global conflict. 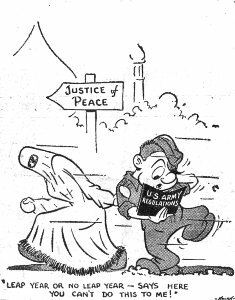 For a few desperate months during early 1942, the Kiwis faced a deep crisis. Australia had its own threat to face. Britain was stretched to the utmost against Germany, and the United States — with millions still unemployed — took time to turn its huge industry to war production. Despite a heavy commitment to the European war, New Zealanders eventually fought the Japanese on land, sea and air, from Malaya to the Solomons and, finally, in Japanese home waters. Kiwis also contributed in many other ways, providing bases and recreation facilities for US forces, food for the whole campaign, even sending physicists to work on the atomic bomb project. This was not easy. New Zealand had heavy commitments in North Africa and Europe. Even after the crisis of 1942 had passed, the country struggled to find the resources to keep air force, navy and army operating in the Pacific. 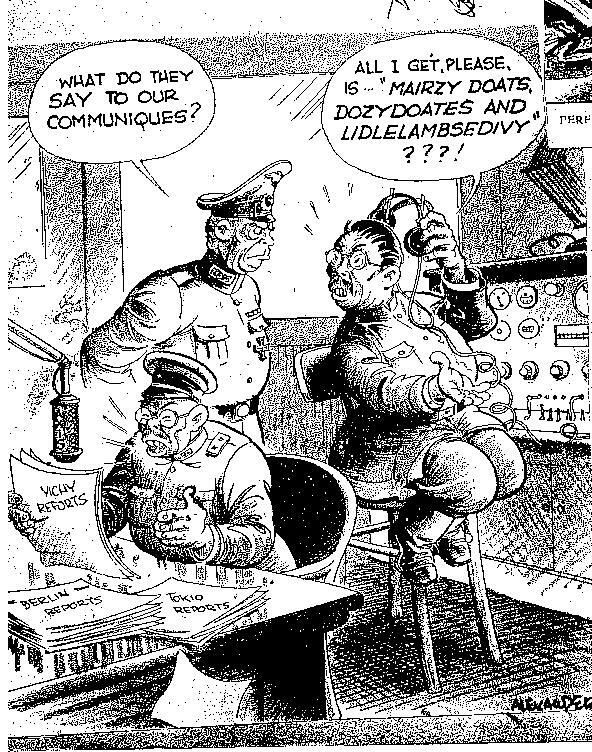 New Zealand’s land component was finally withdrawn in 1944 after ongoing manpower issues reached crisis point — an issue that soon became entwined with Pacific politics and New Zealand’s role in the war. This book focuses on the army contribution and the politics that surrounded it; but we must not undervalue New Zealand’s ongoing and long-term air and naval campaigns in theatre. 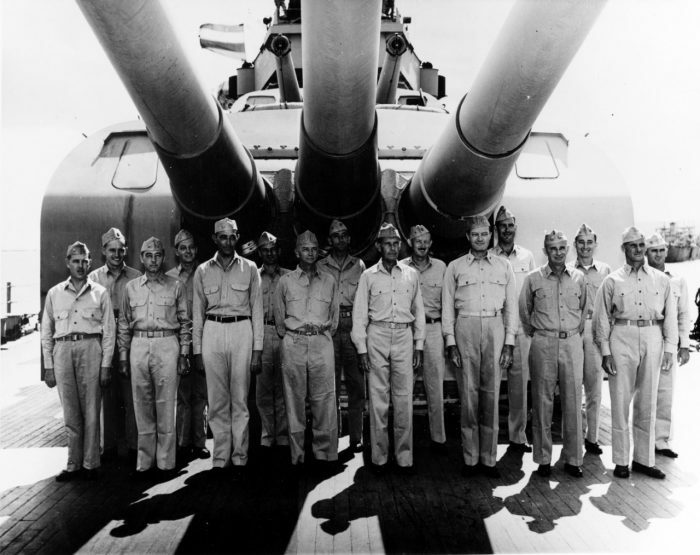 The navy, in particular, took a front-line role from the beginning of the Pacific struggle in December 1941 to the very last actions of the war in August 1945. 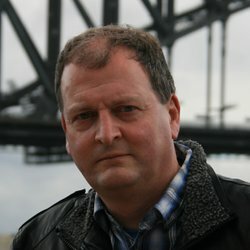 I’m a New Zealand writer. My main interests are in the sciences – physics, particularly, though I’m deeply curious about a lot of stuff, especially the human condition. I have qualifications in writing, music and anthropology among other fields, and hold multiple post-graduate degrees in history. I’m also a Fellow of the Royal Historical Society at University College, London. However, I don’t define myself as a historian and prefer not to be labelled as one. I write a lot. I published my first short story in 1976 and since the early 1980s have worked professionally as a writer, historian, journalist, reviewer, and in media relations. My publications include more than 550 articles, academic papers, reviews and over 50 books on topics ranging from travel guides to biography, engineering, military and social history. I’ve been published principally by Penguin Random House. Matthew Wright’s blog can be located Here! TWO OTHER BOOKS ON THE WAR WILL BE HIGHLIGHTED IN A FEW WEEKS.